31-W Insulation makes choosing a garage door company easy for homeowners in Hickory, North Carolina. Our A+ rating from the Better Business Bureau attests to the superior customer service for which we are well known throughout the Southeast. The team at our family-owned business understands how deeply families value a comfortable, well-maintained home, so when we perform your garage door installation, we will treat your home with the respect it deserves. Furthermore, you can choose a door with different levels of insulation to suit how you use your garage, whether for recreation, as a workshop, or for storage. Plus, our doors come with impressive warranties, so you can be sure your investment is well protected. 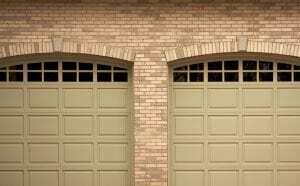 When you want a garage door company of unfailing courtesy and unmatched expertise, contact 31-W Insulation. We’ll be happy to provide a complimentary consultation at your Hickory, NC, home to discuss your options.